It’s the Time of the Season…to Start Planning my Garden! Does this happen to all gardeners? After Christmas, a switch turned on somewhere in my crowded head and now I find myself obssessively planning my garden and my yard. We are building a garage/shop (“we” meaning my husband) and I just realized that due to “new” shade, I will probably have to move my raspberries. So if I move my raspberries, I won’t have as much room for my tomatoes and peppers. Of course, I can’t do anything but think about it–the ground is frozen, and the future tomato/peppers/raspberry area is currently seeing heavy construction use. This will be my third year growing the rest of my food in our town’s new Community Garden. It is an amazing opportunity to raise veggies–the soil is nearly rock-free, which is hard to find in my neighborhood. In my yard, I can’t stick a dandelion fork in the ground without hitting a rock. The first year, I harvested one 12×12 plot. Last year, I worked one and a half plots. This year I’m going for three plots. I am a relatively new gardener, but I have already learned a lot. 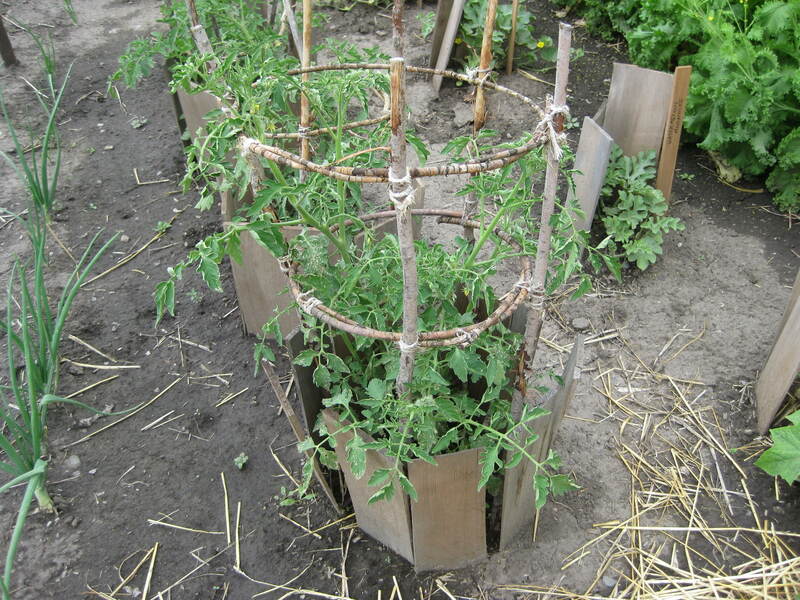 I learned that in NW Montana, Wall O’Waters are necessary around tomatoes, cucumbers and peppers LONG into June…I learned that there is a reason for the spacing information about tomatoes. I learned that cabbage worms are gross and a menace (and hard to get out of broccoli). I’ve learned that you can never grow enough basil. I’ve learned that cornmeal seems to be a good deterrent for the ants in my strawberries. I use a garden planning software called GrowVeg.com, mostly because I need something to do while I wait out the long Montana winter. I have been having much too much fun organizing and designing my garden layout. This year, we will be growing our potatoes in the Community Garden. We’ve tried to grow them in the yard, but there just isn’t enough sun…and, of course, we have a crazy Murphy the Newfie who knows where the potatoes are planted. We are going to try corn this year. 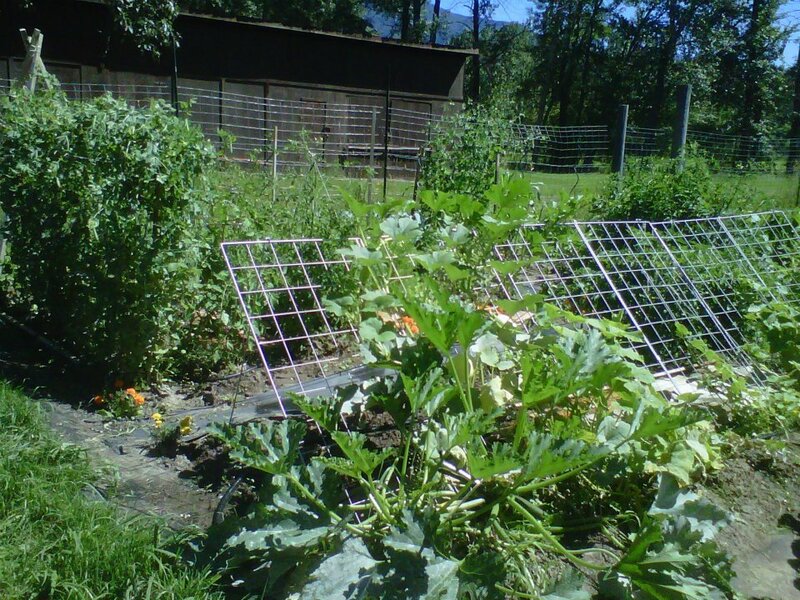 Cukes, zukes and other squash will get their “own” plot. I spend a lot of time mentally designing bigger and better vegetable supports. 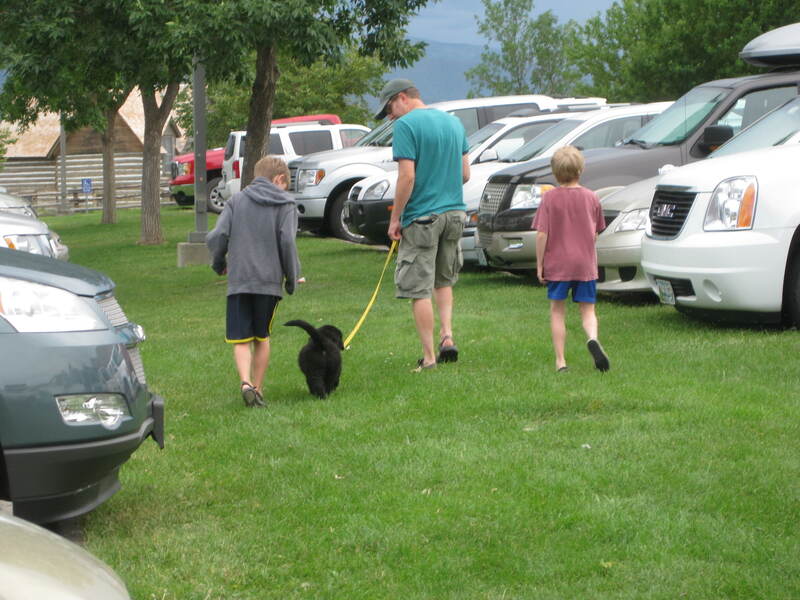 Last summer my family took a trip on the Montana Dinosaur Trail. 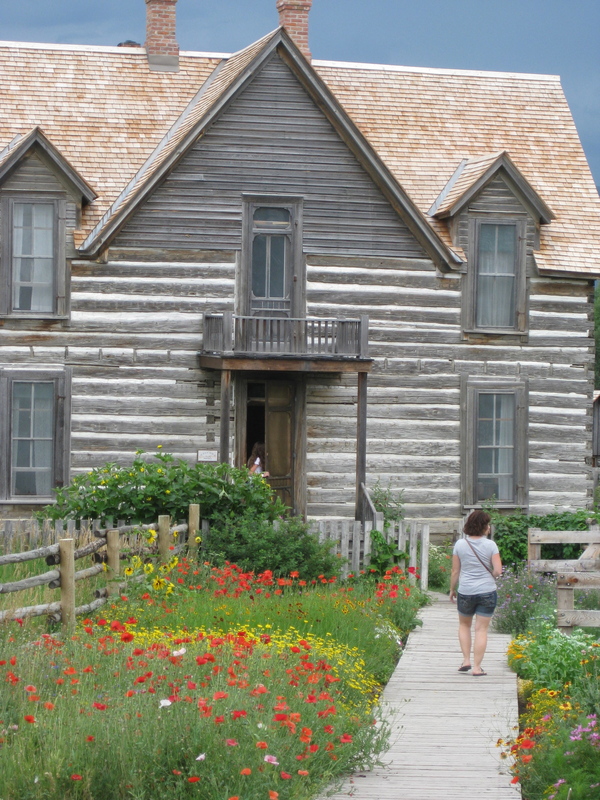 At Bozeman’s Museum of the Rockies, we toured the Tinsley House, which is a living history farm. All of the garden cultivars are heirloom, some even 100 years old. 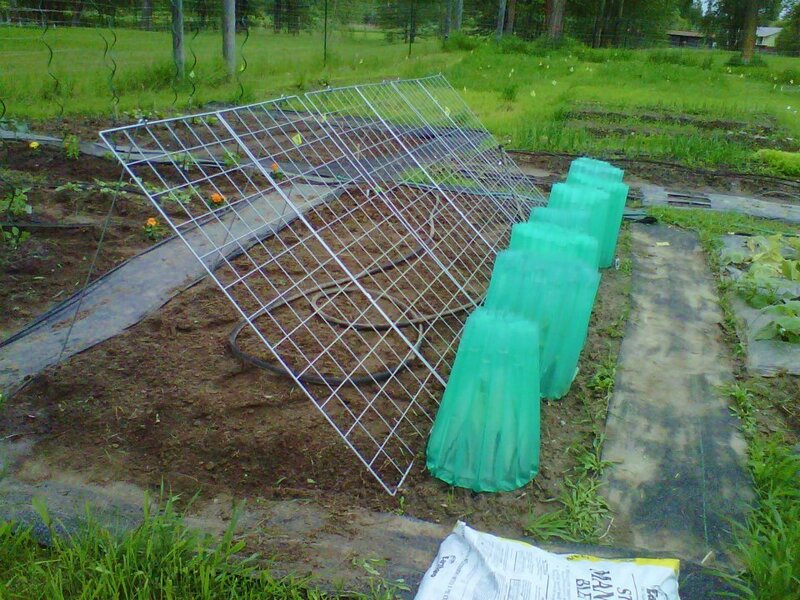 But what I loved most were the handmade tomato cages. I tried to talk my youngest into making some to sell at our local Farmer’s Market, but he doesn’t seem terribly interested. I’m also excited for the Community Garden at large. We are going through some changes, but I think good things are in store. In the fall we planted our first raised bed of garlic, and this spring we will make another of onions, to be divided among plot holders. We will set up a green house early, so people can start their seeds. We will add some raspberry canes, build a raised herb garden, and plant some strawberries and some blueberry bushes. The new local brewery, Desert Mountain Brewing and Draughthouse plans to grow hops along the north fence. Eventually we would like to add a gazebo. I would love to get high school students to design and paint the side of the storage shed. I am also going to enlist the high school Key Club in helping to plant, maintain and harvest the Food Bank plot. Alas, all I can really do right now is dream. I need to wait another 3 months before I can start seeds, and another 5 months before I can start really getting my hands dirty. Until then, I will just imagine the amazing food that will be grown in the 2013 garden!